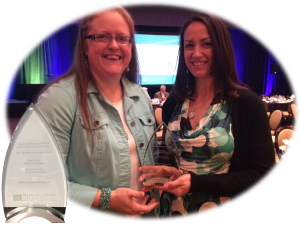 Angie Hammons (left) and Amy Skyles (right) pose with their Online Learning Consortium Effective Practice Award 2015. 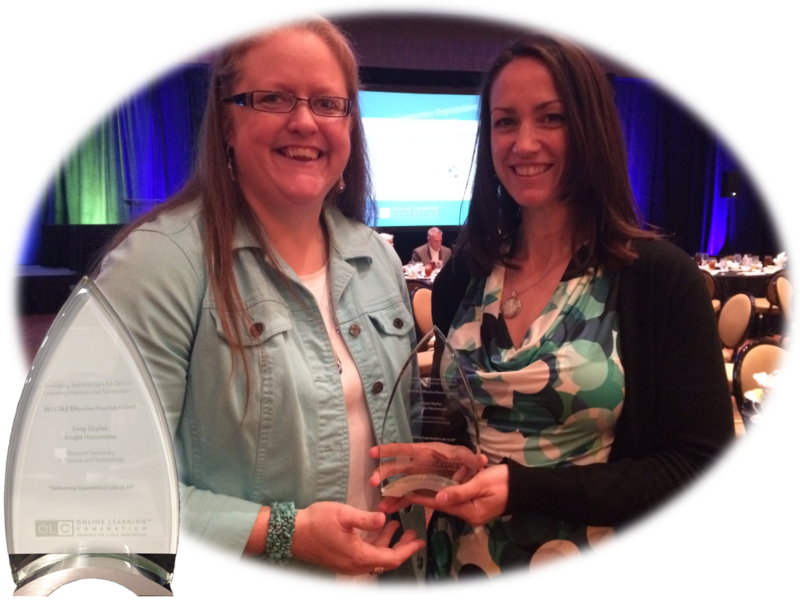 Angie Hammons, Manager of Educational Technology at Missouri S&T, and Amy Skyles, an Instructional Designer for EdTech recently accepted the 2015 Sloan-C Effective Practice Award from the Online Learning Consortium. They received the award for their project on Delivering Experiential Labs To All (DELTA). DELTA is a set of eLearning models, processes and strategies for redesigning traditional (on-campus, in-class) labs to a blended or fully online model. Several instructors, with help from Amy and Angie, have embraced this model in fields including biology, chemistry, circuits, materials testing, and nuclear engineering. Congratulations to Amy and Angie for their hard work and effort! !